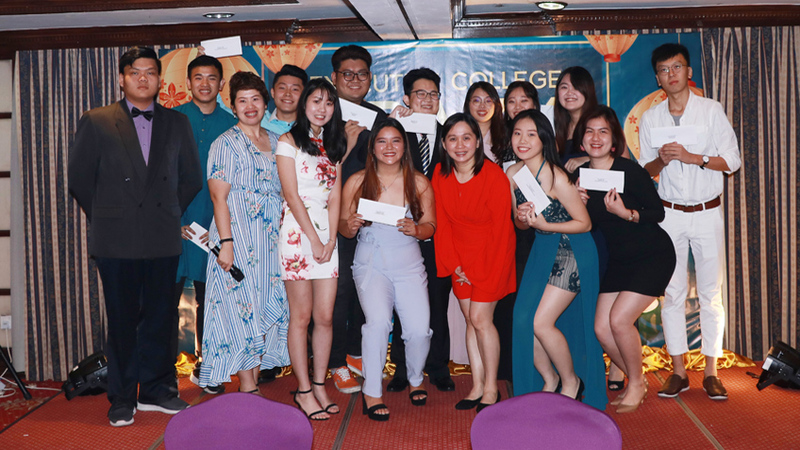 10 March 2019, KUCHING: It was a prom night to remember for students, staff and alumni of Executive College (EC) at Merdeka Palace Hotel here recently. Themed ‘Crazy Talented Asians’, the attendees got to show their hidden talents during a performance segment. The annual event organised by the college also trained new student council members who were the organising committee in planning, organisational, management and leadership skills. Bachelor of Technology (Hons) students Lai Li Xiang and Celine Chan Thien Thien were crowned prom king and queen respectively, according to a press statement released yesterday. Meanwhile, Raymond Bong Wee Sung, a Bachelor of Business Administration (Hons) alumnus and Carol Chiew Sze Ting, who is currently pursuing Bachelor of Business Administration (Hons) won the best-dressed male and female award respectively. Members of the public are invited to EC’s Open Day on March 30. For more information, visit EC located on 2nd Floor, Crown Square, 88 Jalan Pending from Mondays to Fridays, 8am to 5pm. Alternatively, visit www.ecollege.edu.my or call 082-345 680.